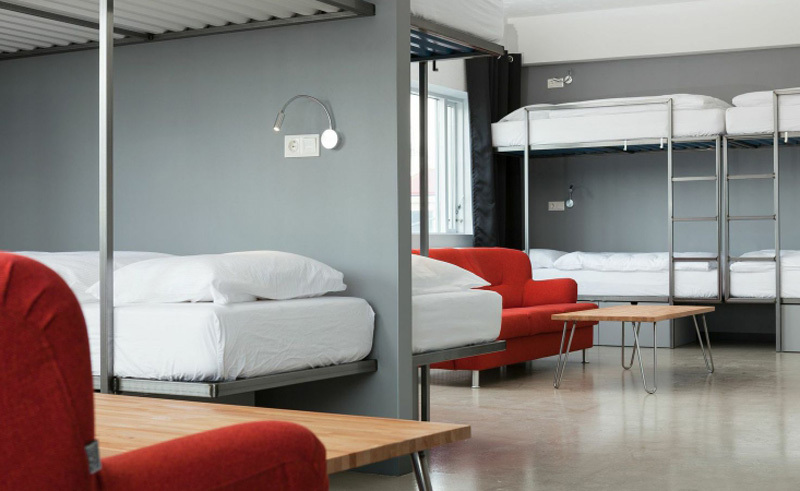 This new hostel offers modern and affordable rooms in the heart of Reykjavik. It is located in the city centre, meaning you are close to plenty of restaurants and evening entertainment. However, please be aware some rooms are located near a main road, meaning it can be noisy at times. In addition, during weekends and public holidays the bar in the main reception area can sometimes become busy. The hostel does however offer excellent value for those on a budget and we continue to receive positive feedback from school groups. The 4, 6, 10, 12 and 14 bed dormitory rooms are all spacious with excellent facilities and the beds are custom made to be absolutely noise free. En-suite twin rooms are also available for staff members.